Greg Olson and Ryan Khalil are active for the game. We are such more successful losers than you guys. This is as close to a must-win as an 8-4 team can get at the top of December. A loss here wouldn't kill us - we would still be in the playoffs no matter what happens around the league. But it would give us little wiggle room for mistakes the rest of the way. We would be tied with the Falcons, either tied with the Seahawks or a game behind, with the Lions, Cowboys (soon to have Zeke back), and Packers (soon to have Rodgers back) looming around with 6 losses. Whereas a win would give us a 2 game lead with 3 games left. I would be expecting a loss if this game was in Minnesota. They are too well-coached and too talented on defense to let us do what we like to do on offense. I'm hinging on the fact that this game is in Charlotte and the weather has been topsy-turvy as of late. I think we can slow down their offense. Diggs/Thielen concern me but we don't give up a lot of YAC (unless we're facing Kamara) which is one of their best traits. I still don't think we'll win, but hopefully we can keep it close enough that it comes down to who has the ball last. Well their interior OLine is being shuffled around since Pat Eflein or w/e his name isn't playing. So that might be useful. 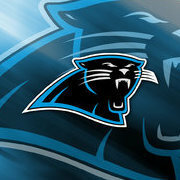 Good win by the Panthers. I'm glad the Vikings made it competitive but we just couldn't finish. Good luck the rest of the way guys! You should respect your elders. 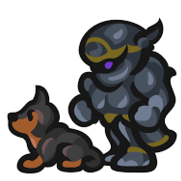 Legend tells Vike Daddy was posting before the existence of even the first version of FF. Yeah. Hey @vike daddy nice loss today dude. Case "No Neck" Keenum is gonna get clowned on in the playoffs and the Vikings will end their season once again as a ringless franchise. Best of luck in your future endeavors!!! Probably not though. Still gonna our [removed[ whooped. Cursing is not allowed here. I would suggest cleaning up your posts, talking more about football, and cut back the trash talking. That isn't how we do things here. Come on, you’ve been around long enough to know not to do that.